Alpha Professional ToolsÂ® introduces the new Smart Trowels system. 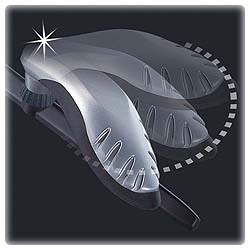 This system comes with an ergonomic, cushioned grip handle that is comfortable to use in all directions. Using a One-Touch-Button, the handle can easily rotate and is perfect for left and right-handed people! 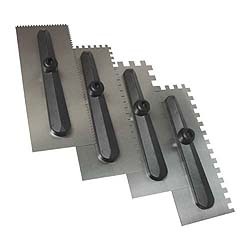 The system comes with interchangeable blades and floats to suit all of your trowelling needs. The blades are made of a high-grade tempered steel for maximum durability and the Quick-Release-Loop offers a convenient way to change the blades quickly! 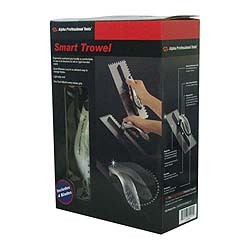 The Smart Trowels Kit includes four blades and the EZ Grip handle (AST1/4SN, AST3/8SN, AST1/2SN, AST316VN and ASTGRIP).